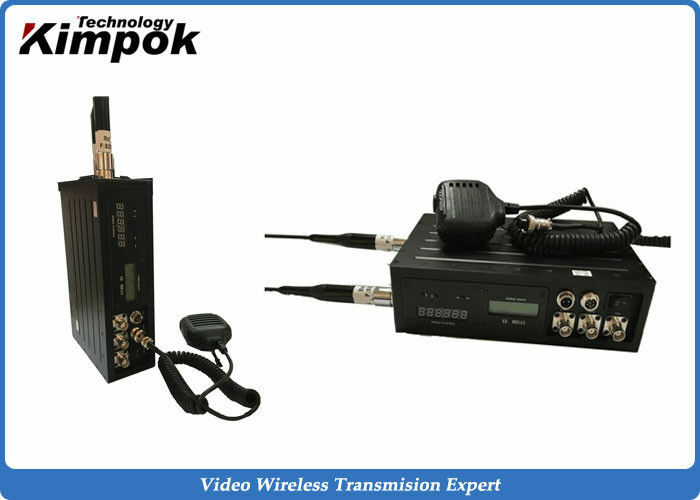 KP-WVT10 system is new generation of broadcast-quality good resolution image transmission and walkie-talkie system. It adopts the current leading COFDM modulation technology and relative narrow-band frequency(2/2.5//4/8MHz), it has the strong anti-jamming capability, overcomes the reflection and cover caused by transmission multipath simulation technique and conventional modulation techniques, to realize high-speed photography and near real-time transmit high quality image in NLOS or complicated working conditions.Especial suitable for army training ,fire rescue, marine remote control security application. 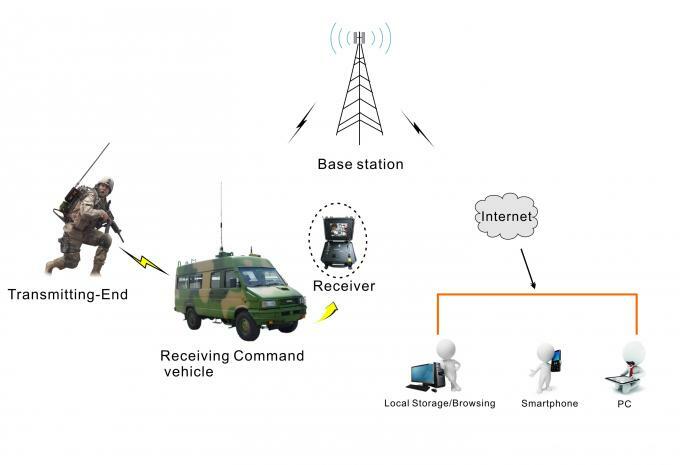 Super long range transmit distance. LCD screen shows parameters and working status.